One of the most difficult experiences in life is when a loved one can no longer live at home. You painstakingly try to find the right place to provide the right care. More than 1.4 million families in the U.S. face the reality of a loved one in a nursing home. More than 69% of those homes are for-profit organizations. You may worry their main focus is profits and not care. This means you need to be even more proactive in protecting your loved one from all types of abuse in nursing homes. So what happens when your loved one receives less than stellar care? When does focusing on profits, understaffing and occasional accidents cross the line into abuse? How can you tell if your loved one is in danger? When is it time to get an expert lawyer in nursing home abuse? Keep reading to learn more about the types of abuse in nursing homes, the signs of abuse to look for and what to if you believe your loved one is being abused. You want your loved one cared for the same way you’d care for them but it’s hard to know how to find that in a nursing home. There are some things you can look for and questions you can ask to help you narrow down the options and alert you to concerns in potential homes. It’s essential to tour the place that you’re considering. Walk through the halls, see the room they’d be living in. Watch how the staff interact with each other and with the clients. Is the home clean? Does it smell clean? Do residents look well cared for? Are they treated with respect when engaged by staff? Consider your loved one and the facility you’re touring. You need to trust the staff and be comfortable with your loved one living there. Knowing how care is offered and who is on the team gives you a good indication of the priority a nursing home puts on actual care and not just profit. Ask for detailed information on the staff to resident ratios, short staff, and emergency policies. What is the ratio of nursing staff to untrained staff? What background checks and screening process is in place for staff? Who are the members of a care team? Does it include an in-house doctor? Are there mental health professionals or dementia specialists? Are there therapy programs and professional staff for recreational, physical or occupational therapy? You’ll want to learn about training and continuing education the facility offers to staff. Talk to the staff that works there and search online for reviews from staff and residents. If employees are unhappy, you don’t want them taking it out on your loved one. You don’t want your loved one to be another thing on the To-Do list of an overworked and underpaid untrained caregiver who sits them in front of a muted television set all day. You want them to meet your loved one’s needs and provide activities, therapy, care, and entertainment so they have the best quality of life possible every day. The more you know the better off you are! You need to know what safeguards the nursing home has in place to provide the best care possible for your loved one. It’s important for your peace of mind and your loved one’s safety that the facility has a plan in place and a policy for all staff to follow in any situation that may arise. This also gives you recourse when a policy isn’t followed. Take the advice of every tv court judge from Marilyn Milan to Judge Judy and make sure you get everything in writing! Request a copy of their policies on emergencies, resident rights, reports of abuse and complaints in writing so you can refer to them if needed. There are several different actions or lack of action that constitutes abuse. We’ll discuss what the different types of abuse in nursing homes are and how to recognize red flags that abuse may be happening to an elderly loved one. Neglect is a common form of abuse in nursing homes as the administration tries to save a few dollars and work with the minimum staff possible. The fewer staff work on a floor, the more likely neglect will happen. If your loved one can’t communicate to tell you they’re being neglected you will need to watch for signs of neglect. These may include bedsores, dirty or soiled clothing, unkempt and unwashed hair, dirty linens and persistent strong odors. Visit your loved ones on different days of the week at varying times so that you know care is not being provided just before scheduled or planned visits. Check your loved one’s back, heels and other areas for bed sores or tender pressure points from extended periods in the same position. If you suspect neglect be vigilant in seeking answers and advocating for proper care. Consult an experienced attorney that’s dealt with cases of abuse and neglect to know your rights. The old saying “Sticks and stones may break my bones but words can never hurt me” has been proven completely wrong as the verbal and emotional abuse have been researched and the long term effects noted. Emotional abuse can have long-lasting and devastating effects on one’s quality of life and sense of wellbeing. It is a serious problem that becomes even more prevalent when Alzheimer’s or dementia is part of the reason for care. One study showed more than 60% of caregivers have verbally or emotionally abused someone in their care at some point. Whether it’s a moment of stressed out weakness or a common occurrence it is never acceptable. Psychological abuse can cause the victim to feel scared, to withdraw or act out if they’re unable to communicate their fears. You may notice changes in a loved one’s mood, eating and sleeping habits and behavior as a result. 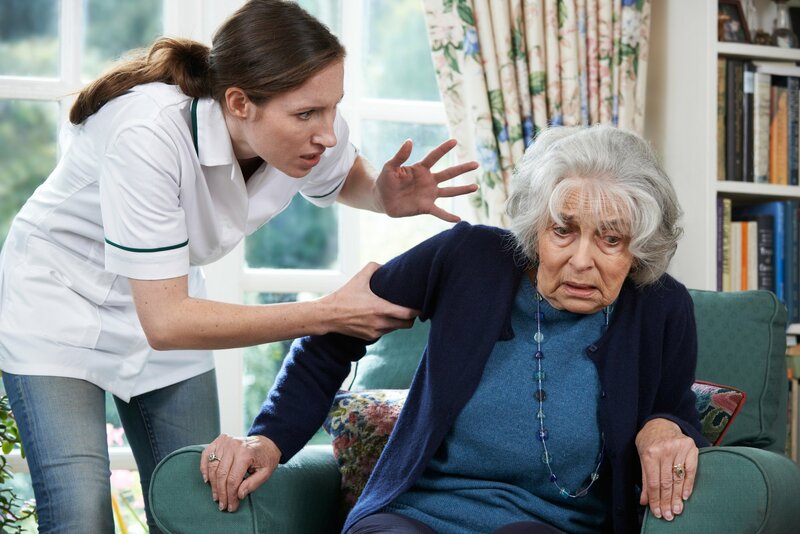 Physical abuse can happen in nursing home situations at the hands of staff, visitors or other residents. Almost 25% of nursing home residents experience physical abuse at least once during their time in care. If you are concerned about a loved one possibly being abused a “Granny cam law” was signed in 2018 by Governor John Edwards to help families protect their loved ones from abuse. There are conditions that need to be met in order to use cameras but it has been made easier for families to have peace of mind and evidence that abuse is occurring. Consulting a lawyer about your rights is a good idea if you have any concerns about what you can or cannot do. Any physical, verbal or non-verbal manipulation, intimidation or act that is performed for sexual purposes without consent. This includes situations where a person is not physically or mentally capable of giving consent. Sexual abuse may be at the hands of staff, visitors, or other residents. Financial abuse is the most widespread and frequent form of abuse against the elderly. Often it occurs when elderly people are cared for at home but it does happen in nursing home environments as well. Any use of the individual’s assets through intimidation or manipulation for reasons other than their well-being may be a form of financial abuse. Always request a detailed and itemized bill or invoice for services and charges so that you can guard against this form of abuse. Various types of abuse happen every day no matter how much you try to prevent it. The government believes 1 in 4 cases of abuse goes unreported. If you are worried that your loved one is suffering from any one or more of these types of abuse in nursing homes contact us and start protecting them today. How Social Media Can Cost You Your Claim?